When a 24-year old football player (Chris Borland) suddenly decides to quit his active sports career, because he wants to plan for a disability-free long life without brain atrophy, the world listens. Chris did his research about traumatic brain injuries, which can lead to degenerative brain disease or chronic traumatic encephalopathy (CTE). Trauma to the brain is just one cause of brain shrinkage (medically termed “brain atrophy”). I like to take a broader overview of the topic of brain atrophy, which looks at all of the factors that can lead to brain shrinkage including physical injuries to the brain from blows to the head. The vast majority of cases of brain shrinkage do not come from physical injuries, but rather from medical illnesses. Many of them including many sports injuries are preventable. This is the topic of my blog today. Brain atrophy means a loss of brain cells, which causes a smaller brain. An MRI scan (around 800 to 1000$) will give information about the brain.The most sophisticated tool to depict the functioning of the brain may be the SPECT scan (ranging from 2000 to 2500$). It is important to realize that a multitude of different factors can cause the same end result – brain atrophy. All of these factors work together causing brain atrophy and the more factors are at play the worse the outcome. So, let’s review the various known causes of brain atrophy. It has been known for a long time that diabetics can develop brain atrophy and dementia when their blood sugars are not well controlled. This leads to the formation of advanced glycation end-products (AGEs). Insulin and IGF-1, a factor produced by the liver in response to human growth hormone have been found to counter the development of brain atrophy in diabetics. The key in patients with diabetes is a close control of blood sugars, best measured as the hemoglobin A1C blood test. At the 22nd Annual World Congress on Anti-Aging Medicine In Las Vegas (Dec. 10-14, 2014) Dr. Theodore Piliszek stated that the new normal range for hemoglobin A1C is 3.8 to 4.9%, quite a bit lower than the normally recommended values. Accepting the old values that proclaim levels of 5.5. as normal automatically puts you in a higher risk of developing brain atrophy and dementia. What is good for the heart is good for the brain. That is what Dr. Perlmutter stated in his book (Ref.1). But the reverse is also true: if your cardiovascular system is sick, your brain gets sick! Here is a full-text article that describes how intimately connected heart function and brain function is. Cardiovascular disease is a broad term and includes atrial fibrillation, blood clots in the coronary arteries or brain vessels (medically called “thrombotic events”), high and low blood pressure, heart failure, heart valve defects, low cardiac output, inflammation in the blood and a genetic marker, called Apo E, which is commonly associated with Alzheimer’s disease. The end result of any of these conditions will cause brain atrophy. Once a problem is identified, it is important that the patient is seeing the appropriate specialist who will take care of the risk factor in order to prevent brain atrophy. Some people are born with a certain degree of a methylation defect, a deficiency of certain enzymes, which prevents methylation of brain hormones and other metabolic products. This can lead to depression, schizophrenia, memory loss and you guessed right: brain atrophy, which manifests itself as Alzheimer’s disease or dementia. By using the proper nutrients with high enough supplements of vitamin B2, B6 and B12 this biochemical process can be restored and brain atrophy can be prevented. SAMe is also a useful supplement that supports methylation and a normal brain metabolism. Ref.2 explains methylation defects in more detail. The question is whether the “brain shrinks as the waist expands”. The answer is a clear “yes”. Researchers have found that the grey matter (with which we think) in the frontal lobes of the brain shrink in obese people of all ages. The researchers found further that the grey matter shrunk in the temporal and parietal parts of the brain of people in middle and old age. The key here is to cut out refined carbs (sweetened sodas, pasta, bread, sugar in any form), as they are the ones that cause obesity. 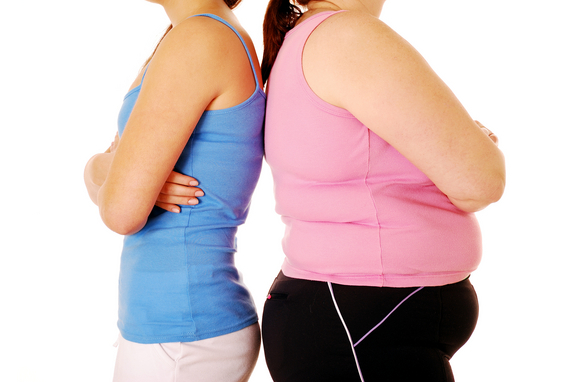 This occurs by the liver metabolizing sugar and turning it into fat that is stored. Just by cutting out sugar and starchy foods both my wife and I lost 50 pounds each in 2001. It can be done, but it takes a bit of will power. The terminology may be confusing here: it is really sugar that causes brain atrophy via causing obesity and damage to the blood vessels. Smoking leads to brain atrophy by damaging the blood vessels that are supposed to supply the brain with nutrients. If blood vessels close off or hardening of the arteries reduces the blood flow to the brain, brain cells die and brain atrophy develops. Smoking also robs the body of vitamins, which slows down the brain cell function. Alcohol is a nerve cell poison; it causes brain atrophy by directly damaging the brain cells (grey matter). The results are memory loss, poor judgment, problems planning one’s future, loss of control with regard to emotions. This can lead to violent behavior and problems with regard to inter-personal relationships. ApoE4 gene variant, which causes inherited Alzheimer’s disease, causes a change of brain metabolism with deposits of a glue-like substance in the brain that damages nerve connections resulting in memory loss. Researchers believe that ApoE4 is implicated in 20 to 25% of all Alzheimer’s cases. Despite this apparent negative story, there is hope by radically changing one’s diet and taking supplements. Not every patient with one or two doses (alleles) of ApoE4 comes down with Alzheimer’s. What can you do to prevent brain atrophy? Supplements: Take regular B complex vitamins (particularly B2, B3, B6, folic acid, B12), vitamin E and C, carnosine, acetyl-L-carnitine, boron, ginger, coenzyme Q-10 (or CoQ-10), curcumin, vinpocetine, zinc, grape seed extract, blueberry extract, Ashwaganda, glyceryl-phosphoryl-choline, SAMe, huperzine A and DMAE. All of these have been found to support brain function and often restore memory function. Unfortunately regular anti-Alzheimer’s medications are not keeping their promise and on average just delay Alzheimer’s by 3 to 6 months. For details how these supplements work see this link. Omega-3 fatty acids including DHA: These essential fatty acids from fish oil are very useful as they are anti-inflammatory and help support the normal brain metabolism, particularly DHA. In a Feb. 2015 US study from the Rhode Island Hospital 193 Alzheimer’s patients, 397 individuals with mild cognitive impairment and 229 normal individuals were followed for 5 years with MRI scans and cognitive tests every 6 months. 117 subjects were taking fish oil on a regular basis. The study showed a decline in gray matter in those who did not take fish oil and in carriers of the apolipoprotein E4 gene (a gene liked with Alzheimer’s disease). The gray matter on the MRI scans and brain function measure with cognitive function tests were much better preserved in those who took fish oil supplements. Resveratrol: This powerful antioxidant is an anti-aging supplement. It is preventing heart disease, hardening of the arteries and helps preserve brain function by keeping the brain vessels from getting clogged up. DHA and omega-3-fatty acids are helping in that regard as well. Eat nuts: Nuts are healthy (provided you are not allergic to them); but just because you are allergic to one kind does not mean you are allergic too all of them. Often a person allergic to hazelnuts will not be allergic to Macadamia nuts, cashew nuts or walnuts. Nuts contain a mixture of essential fatty acids, blood vessel friendly, saturated fatty acids and minerals that are all brain supportive. Exercise regularly: Whoever moves and exercises keeps the heart healthy and whatever keeps the heart healthy keeps the brain healthy as stated before. Stress management and sleep (avoid chronic overstimulation of your brain): In our hectic society everything has to be instant, the expectations of managers are high, the labor force is stressed. The fastest runner, the best player etc. is celebrated. The rest of us often feel like “underdogs”, if we allow this type of thinking to rule ourselves. Use yoga, self-hypnosis, meditation, religious mediation and prayer to counter some of the stress from everyday life. We need some stress to get us going, but we do not need “distress”. Dr. Hans Selye, the father of the general adaptation syndrome due to stress, gave a lecture about this topic in Hamilton, Ont. in 1977, which I attended. I vividly remember how he projected a picture of his skeleton showing bilateral hip replacements. He said that chronic stress could lead to arthritis. He had developed end stage arthritis in his hips and required total hip replacements on both sides. He wanted to illustrate that stress leads to physical consequences; it may be a heart attack in one person, a stroke in another, arthritis in a third. Constant overdrive has physical consequences. Avoid sugar and starchy foods: I left this point as the last as it may be more difficult to understand. I started touching this topic under “obesity” above. An overload of refined carbs leads to an overstimulation of the pancreas pouring out insulin. Too much insulin (hyperinsulinemia) causes hormonal disbalance and leads to diabetes type 3, the more modern name for Alzheimer’s. All starch is broken down by amylase into sugar, so essentially you get a sugar rush from any starchy food as well. Too much sugar in the blood oxidizes LDL cholesterol, which leads to inflammation in the body. 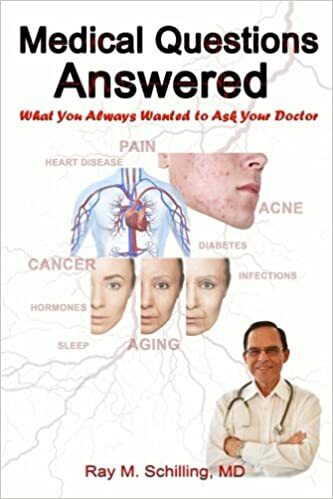 The consequence of this are the following conditions: hardening of the arteries, strokes, heart attacks, Alzheimer’s due to brain atrophy, arthritis, Parkinson’s disease and cancer. I have blogged about these topics in many separate blogs. In this blog I have reviewed how brain atrophy develops. 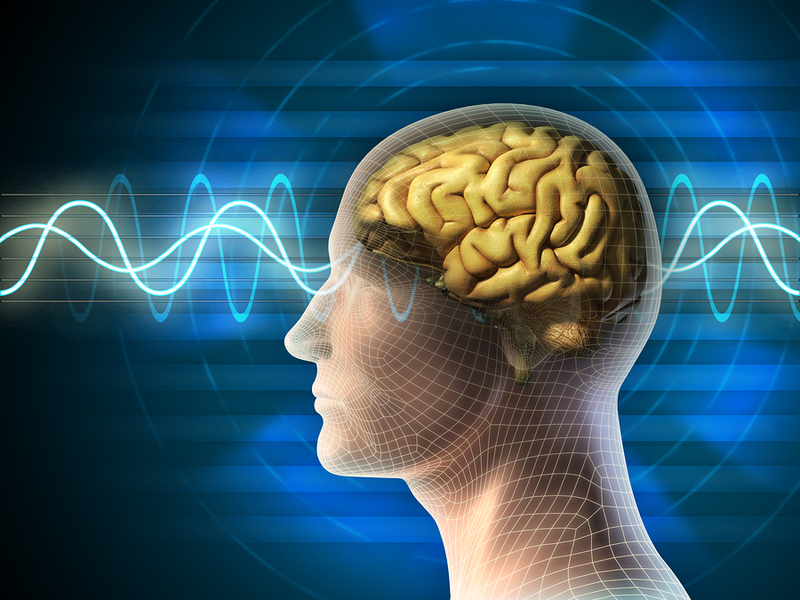 There are a multitude of factors that over a lifetime can lead to brain atrophy. Repetitive head trauma from contact sports is only one reason; poor nutrition with too much sugar and starch and missing essential fatty acids (omega-3/DHA) is another potential cause. Add to this a lack of exercise, too much stress, alcohol and smoking and you covered most of the causes. Studies have shown that even when you carry the ApoE4 gene trait, only 30% will express it as supplements can suppress the expression of it. The key is prevention. Preserve your brain cells, prevent brain atrophy! Ref. 1: David Perlmutter, MD: “Grain Brain. The Surprising Truth About Wheat, Carbs, And Sugar-Your Brain’s Silent Killers.” Little, Brown and Company, New York, 2013. Ref.2: William J. Walsh, PhD: “Nutrient Power. 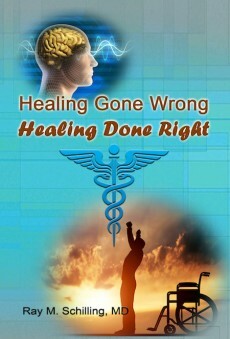 Heal your biochemistry and heal your brain”. Skyhorse Publishing, 2014. 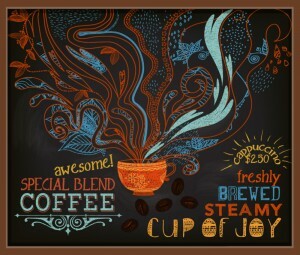 I have blogged about coffee drinking several times in the past. Coffee consumption and health benefits have become a news item again because of yet another study. The recent media reports are based on a South Korean study that involved 25,138 men and women with a mean age of 41.3 years. Here I like to concentrate on aspects regarding coffee consumption that are often lost in the media when studies regarding coffee consumption are discussed. I will break it down into points and then conclude at the end with my recommendations. The South Korean study published online on March 2, 2015 showed that with up to 4 cups of coffee there was a direct linear relationship between consumption of coffee and prevention of heart attacks. Coronary artery calcium (CAC) deposits were measured by a CAT scan as they are known to be a good measure for a future risk of heart attacks. Less than 1 cup of coffee per day resulted in a 23% reduction of CAC in the coronary arteries compared to controls without coffee consumption. 1 to 2 cups of coffee reduced CAC’s (meaning the risk of heart attack rates) by 34%, while 3 to 4 cups prevented CAC’s and thus heart attacks by 41%. The fun stops at 5 cups of coffee per day as only 19% of CAC’s (heart attacks) were saved. Clearly there is something in coffee that shows detrimental effects, if the dosage is too high. In the past there was a question as to whether coffee consumption would lead to osteoporosis in women. However, a study showed that there was no correlation between coffee consumption and osteoporosis. Other studies have clarified this and found that vitamin D3 and K2 are important to remove calcium from the arterial wall and transport calcium into the bone and deposit it there. 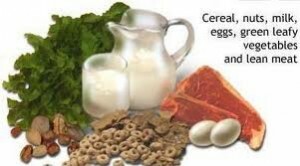 Vitamin D3 and vitamin K2 seem to override all the other nutrients when it comes to osteoporosis prevention. The other factor in older women is hormone deficiency as they age necessitating bioidentical hormone replacement in addition to vitamin K2 and vitamin D3 to prevent osteoporosis. is an important question. This is routinely done in Germany where I grew up. The addition of sugar changes the entire game plan, as it is sugar that oxidizes LDL cholesterol, which is directly deposited under the arterial walls. This is the root cause of hardening of the arteries. Coffee alone is beneficial; coffee with sugar is not. I use a tiny amount of KAL Stevia (which does not have the bitter aftertaste) instead of sugar to sweeten my coffee. This sweetens it to the equivalent taste of sugar, but without the detrimental oxidizing effect of sugar. Somebody like me who was conditioned to eat sugar from childhood on in Germany has been left with a “sweet tooth”; so I need to have this tiny bit of stevia as a crutch. Purists may disagree with me. Keep in mind that the Korean study was done without sugar. 3. What’s the difference between real and decaffeinated coffee? The recent study showed that you need to drink the real thing (caffeinated coffee), if you want to reduce your risk to get the dreaded pigmented skin cancer, melanoma. Decaffeinated coffee did not have this melanoma protective effect. This points to the fact that there are several substances in real coffee and decaffeinated coffee that have different effects. Ref. 2 shows that there was a clear reduction in the risk of developing type 2 diabetes in people who drank either coffee, decaffeinated coffee or tea. Unfortunately many studies do not distinguish clearly between caffeinated coffee and decaf coffee. As this link shows there are many micronutrient components in coffee such as caffeine, diterpenes, chlorogenic acids, and melanoidins. There is about 100 mg of caffeine contained in a tall (240 ml) Starbucks cup of coffee. This will stimulate the nervous system and your adrenal glands getting that energy rush. Diterpenes consisting mainly of cafestol and kahweol are substances that have been found to increase the LDL cholesterol. The fact that we are dealing with a concoction of mostly beneficial, but also some less beneficial micronutrients in coffee is responsible for the lower beneficial effect of 5 cups of coffee mentioned in the South Korean study. Filtered coffee seems to largely remove these undesirable substances. This link explains more details about the micronutrients in coffee. The last link mentioned a study where a large group of people were followed and monitored for Parkinson’s disease. Those who had consumed only 1 cup of coffee per day were compared to controls without coffee consumption. This one cup of coffee per day prevented Parkinson’s disease by 40 to 60%. Similarly, in a study that investigated prevention of type 2 diabetes 4 to 6 cups of coffee per day prevented 28% of type 2 diabetes. In postmenopausal women decaf coffee was also significantly effective in reducing the risk to develop diabetes. The Linus Pauling Institute link summarized that there were several studies that showed that colorectal cancer could be partially prevented by consuming real coffee (4 or more cups), which lowered the risk by 24% compared to non-coffee drinkers. Another study noticed that 1 to 2 cups per day of decaf coffee reduced the risk for colorectal cancer by 48%. Cirrhosis of the liver, often due to excessive alcohol use can be prevented by 40% when at least 2 cups of coffee were consumed. More astounding than that is that the risk of death from liver cancer can be reduced by 50% when at least 1 cup of coffee was consumed compared to those who never consumed coffee. However, liver and colon cancer are not the only ones that can be prevented to a large extent by drinking coffee. Breast cancer, prostate cancer, endometrial cancer, uterine cancer, oral cancer, brain cancer and lung cancer can also be significantly prevented by a regular cup of coffee. As there is a risk of increasing miscarriages in pregnant women, it is best not to consume coffee during pregnancy or at the most limit it to one cup per day. Also, nursing mothers should avoid coffee (even decaffeinated coffee) as caffeine gets transmitted into mother’s milk. People with high blood pressure may be better off to not drink coffee or to drink decaf coffee, because caffeine has been shown to elevate blood pressure substantially. 6. What are the risks of drinking coffee? Seeing that coffee is an effective drug-like compound with many benefits, it is worthwhile asking the question: what are the side effects of coffee consumption? There are people who are very sensitive to caffeine. They get over stimulated and experience heart palpitations, a lack of sleep and anxiety. They should refrain from coffee. They may even be over sensitive to decaffeinated coffee that still contains about 3% of caffeine. People with rheumatoid arthritis have been shown to deteriorate with coffee consumption, making this another subgroup of people who should stay away from coffee. 7. What is the process of decaffeinating coffee? Essentially there are 4 processes of decaffeination that have been developed over time. As this link shows, all of the decaffeination processes are done with the green coffee beans. There are two solvent-based processes and two non-solvent based processes. The latter two are the healthiest: the Swiss water process and the carbon dioxide process. The problems with the older solvent-based processes are the chemicals used to extract the caffeine. They can be harmful to the body. Organic decaffeinated coffees are manufactured with the environment-friendly Swiss water process. There are some people who simply are too sensitive to caffeine. They should refrain from drinking coffee. Pregnant women and nursing mothers should either severely reduce coffee consumption to one cup per day or refrain from coffee altogether. Those with high blood pressure and rheumatoid arthritis patients better refrain from drinking coffee as well. 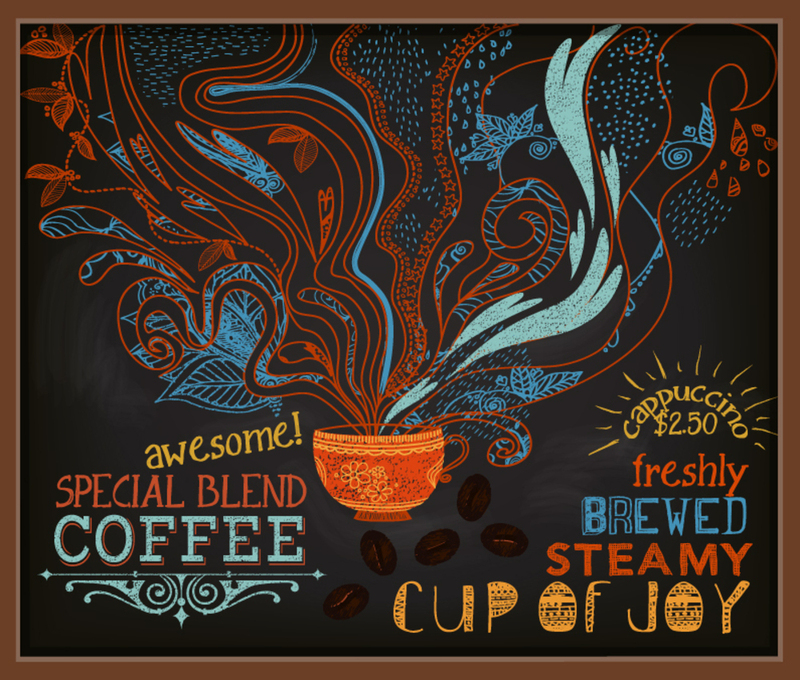 The majority of us will benefit from coffee consumption, if this is your taste. You may prefer green tea or Oolong tea instead. As I explained above there is compelling evidence in the literature that many cancers, heart attacks, strokes and diabetes can be partially prevented by regular coffee consumption. Decaffeinated coffee can prevent type 2 diabetes to some extent and colorectal cancer as well. The majority of evidence shows that coffee drinking is healthy. So, go ahead and enjoy! Ref. 1: Ding, Ming; Bhupathiraju, Shilpa N; Satija, Ambika; van Dam, Rob M; Hu, Frank B. “Long-term coffee consumption and risk of cardiovascular disease: a systematic review and a dose-response meta-analysis of prospective cohort studies.” Circulation – February 11, 2014; 129 (6); 643-59. One of the difficulties in curative medicine is compliance. There are various aspects: patients dislike the feeling of dependency on medications. In some cases there is a dislike for swallowing that pill, and if medications have to be taken several times per day, it can present even more of a challenge. People are busy with their daily routines, they may forget the one or the other dose, and it may very well compromise the effectiveness of a medication. 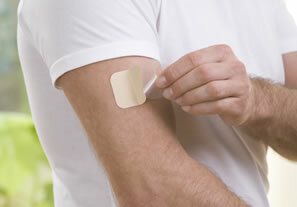 Various medications can now be administered through a transdermal patch. For sufferers of Parkinson’s disease a new transdermal treatment with the dopamine agonist rotigotine (brand name Neupro®) has been tested. It can become the first line of defense and ease the symptoms. The transdermal patch was generally safe, and as it was well tolerated, patients did not discontinue the treatment. The treatment with rotigotine can help postpone the commonly used medication levodopa, which tends to lose effectiveness over the years. Another study with the rogitotine patch showed effectiveness for individuals suffering from restless leg syndrome. This disorder makes sleep difficult, and as a result the patient turns sleepy during wakeful hours. Dr. Karin Stiasny-Kolster, a neurologist at Phillips University in Marburg, Germany reported on favorable results with 340 patients suffering of restless leg syndrome. In a controlled study, those patients who were wearing the rotigotine patch were showing improvement. Again, the transdermal system was well tolerated and safe and there was no problem with fluctuating dopamine levels. Placebo-treated patients did not respond. The product has been released in European countries and the FDA is investigating for release in the US soon. Comment: The FDA approved the patch under the name “Neupro-P”. Here is a meta analysis. It shows that the drug improved symptoms of Parkinson’s disease. but it also was associated with more side effects. Parkinsons disease (correct medical spelling is ” Parkinson’s disease”) is a degenerative disease of the brain stem that presents with symptoms of shaking, tremor and gait problems. It is a neurological disease of the elderly and often is a cause of disability leading to institutionilisation. New research at the University of Sao Paulo (UNIFESP) in Brazil has found that a diet rich in vitamin B2 and low in meat has helped to improve patients with Parkinsons disease. It appears that it may not only be useful in alleviating symptoms of existing disease, but even more importantly to prevent this neurological disorder from developinlg. Dr. Cicero Galli Coimbra stated that in Buenos Aires (where the study was done) the consumption of meat is one of the highest in the world as is the rate of Parkinsons disease. Under his guidance a research team found that about 15% of the population do not absorb vitamin B2 adequately. In combination with excessive red meat intake a significant proportion of the population does not absorb enough of this vitamin resulting in Parkinsons disease. In this study a group of patients with advanced Parkinsons disease were put on a special diet that included milk (which is a good source of vitamin B2). Other sources of vitman B2 as shown here were cereal, nuts, milk, eggs, green leafy vegetables and lean meat. Within one month 18% of their motor function had returned to normal. After the third month of this diet 60% of the motor function had returned. Many had improved so much that they were able to drive a car safely again. Riboflavin (=vitamin B2) is an important ingredient in a number of metabolic processes in brain cells that result in the production of dopamine, a brain hormone that is required for regulating muscle coordination in various parts of the brain. This translates into a stable gait, normal muscle strength, good balance and normal cognitive functioning. These findings were reported in the July 15, 2003 issue of The Medical Post, page 31. 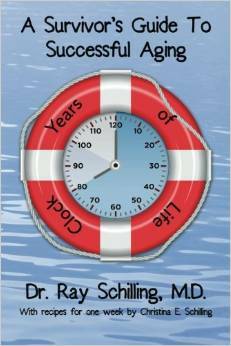 Link to Dr. Schilling’s Net Health Book regarding Parkinsons disease.